Our health or the health of a loved one is probably the single most important thing in our life. Keeping your health in check can also be expensive and time-consuming especially when it comes to kidney dialysis. Chances are, you or a loved will need dialysis at some point in your life. There are many diseases and events which can lead to kidney failure including but not limited to Kidney disease, adrenal gland cancers (Neuroblastoma), Wilms tumors, injury from car accidents and many more culprits. Hemodialysis commonly referred to as just dialysis is a procedure where one’s blood is filtered by a machine and then returned to the body. Your kidneys located on either side of your spine are the organs usually responsible for carrying out this process. Your kidneys filter your blood, make sure you have the right amount of vitamins and minerals, regulate your blood pressure(via the adrenal gland), and release the hormone responsible for creating new red blood cells. When your kidneys no longer function properly, these processes are carried out by a dialysis machine. 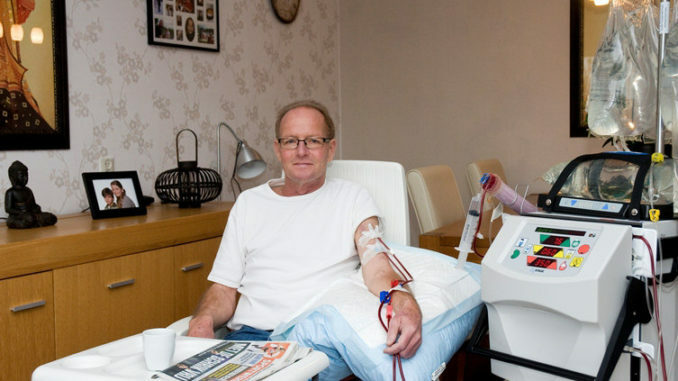 Where Does One Receive Dialysis Treatment? Usually, and in times past the patient (you or otherwise) would have to go to a dialysis clinic. Depending on your kidney function, these appointments may be more frequent or less often. Dialysis appointments are often very time consuming and can be expensive depending on your insurance provider. Hemodialysis as described above is one type of dialysis; there is also another type called Peritoneal Dialysis which I will discuss in the next section. Peritoneal Dialysis is dialysis done inside one’s own body. This type of dialysis is achieved by injecting a specialized fluid into a person’s abdominal region. It works by trapping and absorbing waste material from your blood as it passes through the capillaries and small vessels in your abdomen. After the fluid traps all the waste it is drained from your body. 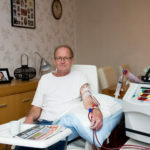 The advantage of this type of dialysis is that it can be performed in your own home with a home kidney dialysis machine. Which Method Of Dialysis Is Right For Me? Are children younger than two years old. Still have some remaining kidney function. Do not have another medical condition. Generally speaking, if you can live safely at home by yourself, home dialysis may be an option for you. Patients who may not be good candidates for home dialysis include Patients diagnosed with a form of cancer, Dementia or Alzheimer’s, or patients who underwent a double nephrectomy. As always speak with your doctor about any questions you may have so that a medical professional can address any concerns.